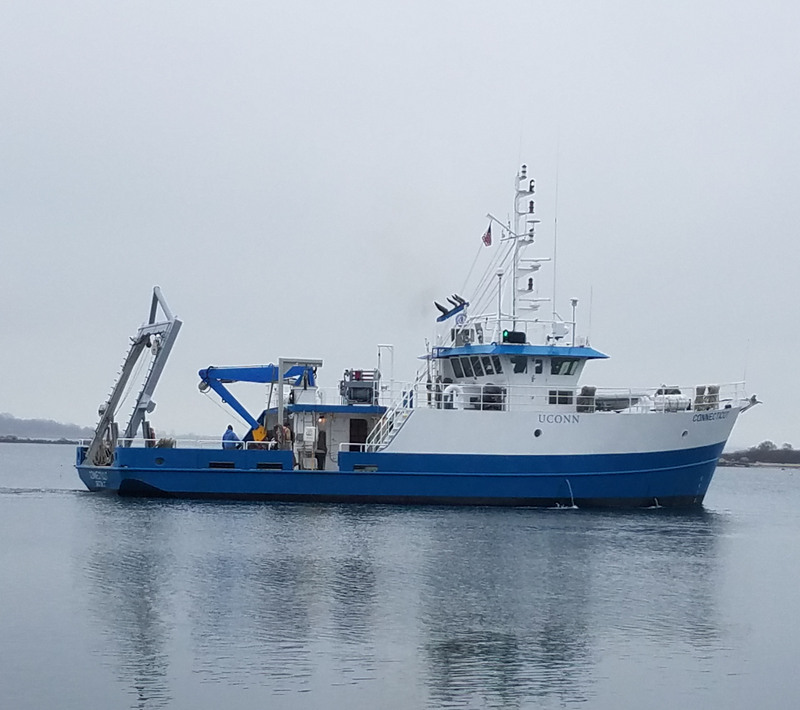 The R/V Connecticut is a 90′ steel single screw research vessel that was designed and built for the University of Connecticut in 1998 and is outfitted for year-round coastal service. The vessel underwent a mid-life refit in 2017 that include installation of 14’ mid body extension The vessel can accommodate 18 people for overnight and extended science missions of 10- 14 days duration. The vessel is equipped with a dynamic positioning system connected to bow and stern thrusters. The vessel design favors stability and precise low speed handling and positioning. Vessel features include wet and dry laboratory spaces and a mid-ship mounted, 20″ diameter instrument wet well which allows transducers or sampling gear to be installed through a main deck access hatch with conduit connection to the dry laboratory and reconfigurable transducer/equipment mounts. Science vans up to 20′ in length can be placed on the large work deck and a full suite of deck machinery is available to perform a wide variety of oceanographic tasks. 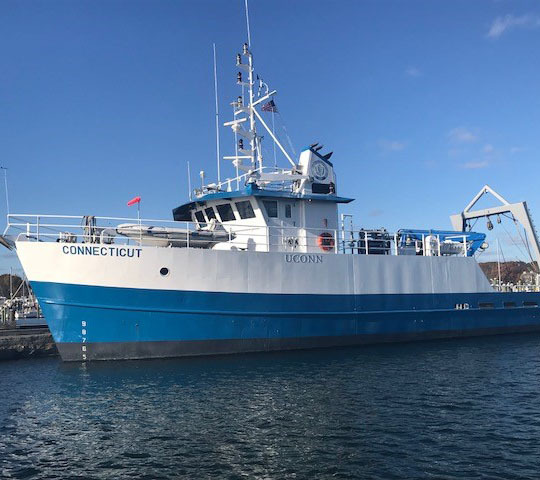 Take a multimedia tour of our Research Vessel the R/V Connecticut. Images, ship drawings, and equipment descriptions will introduce you to our state of the art vessel. Browse through a selection of images showcasing the R/V Connecticut. View sea life, boat operations, and places we’ve been.